Whether you’re an avid poker player or just like to try your luck on the slot machines, cruise ship casinos offer a little something for everyone, without a flight to Las Vegas. Blackjack, roulette, three-card poker, slots. $3-$5 for table games; penny slots. Age: 18; 21 on Alaska sailings. Payment: Cash, onboard account, or pre-approved line of credit. Blackjack, roulette, three-card and electronic poker, craps, bingo, slots. $5 for blackjack and craps; $1 for roulette; penny slots. Card tournaments on select sailings. Payment: Cash or onboard account. Smoking is permitted; there are non-smoking areas. Blackjack, roulette, three-card and electronic poker, Texas Hold ’em, , craps, slots. Baccarat and let it ride are available by request on Celebrity Reflection, Celebrity Silhouette, Celebrity Eclipse, Celebrity Equinox, and Celebrity Solstice. Number of tables and slots varies by ship. Varies for table games; $5 for blackjack; penny slots. Blackjack, three-card and five-card poker, fun 21, roulette, slots. $5 for card games — $3 on port days from 8-9 pm and sea days 2-6 pm; $1 for roulette. Blackjack, craps, roulette, three-card and electronic poker, Texas Hold ’em, slots. Mini-baccarat is available upon request. $5 for table games; penny slots. Payment: Onboard account, cash, or line of credit established before sailing. Blackjack, three-card poker, roulette, slots. 25 cents for roulette; $1 for blackjack and poker; penny slots. These ships do not have casinos. Holland America Line Blackjack, roulette, craps, three-card poker, Texas Hold ’em, slots. 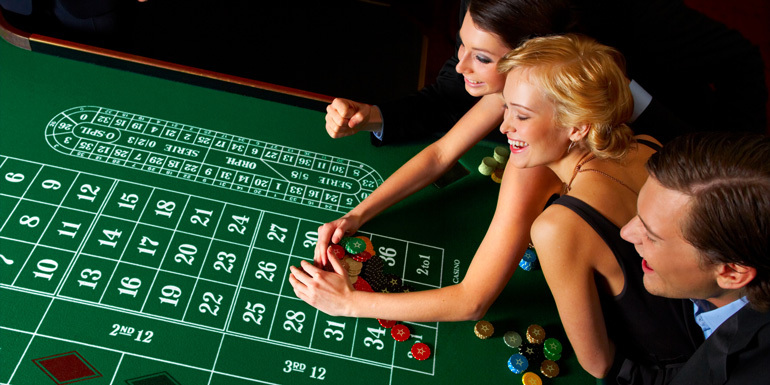 $5 for table games; $1 for roulette, and Texas Hold ’em; penny slots. Lottery, tournaments in slots or blackjack, free gaming lessons, and Club 21, a frequent players club with opportunity to earn rewards for every game you play. Payment: Cash, onboard account, cash advance. Slots only use card registered with onboard account. MSC Cruises Blackjack, poker, roulette, chemin de fer, punto banco, trente et quarante, slots, bingo. $5-$10 for table games; penny slots. Age: 18 on Mediterranean sailings; 21 on Caribbean sailings. Payment: Cash, credit card, or onboard account. Smoking is permitted on all ships except MSC Divina. Blackjack, craps, roulette, let it ride, three-card poker, Texas Hold ’em, pai gow poker, baccarat, slots. Tournaments in blackjack, slots, and Texas Hold ’em; free lessons on a variety of games; reward program is available. Oceania Cruises Blackjack, poker, roulette, slots. $10 for 2 blackjack tables; $25 for 1; $5 for all others. Blackjack, roulette, craps, Texas Hold ’em, three-card and five-card poker, let it ride, slots, bingo. Table games vary by ship. $3-$5 for table games; penny slots on some ships. Blackjack, Texas Hold ’em, and slot tournaments, table game lessons, and a lottery. Age: 21; 18 in Australia or the U.K.; 20 in Japan. Payment: Onboard account or cash. Smoking is permitted except on smoke-free nights. Blackjack, poker, roulette, mini-craps, slots. Blackjack, roulette, craps, poker, slots. $3-$5 for table games; penny slots. Table games vary by ship. Blackjack, Texas Hold ’em, and slot tournaments; rewards program; and game lessons. Seabourn Cruise Line Blackjack, roulette, slots; poker is available on select days. $5-$100. Payment: Cash, onboard account, traveler’s checks. Silversea Cruises Blackjack, roulette, slots. None. Payment: Cash or cash advances. Have you won big in a cruise ship’s casino? Thank you for putting all this info in one place!! I have been receiving free casino cruises from NCL and Royal for years. Just used URComped to get a matching cruise offer from MSC, so I'm doing a little "casino research" before my trip. I hope my luck is better on MSC!